Does this unit require independent power or will it work drawing power from the HDMI input? BEST ANSWER: It requires an independent power and the unit comes with its own power adapter. It requires power from a wall outlet, it doesn’t work off hdmi power alone. It does require independent power using the included AC adapter. does this still work with Roku 4? Yes . Iam currently using it on my Roku 4 and works wonderfully . No problems with the Blackbird it since it was installed about 3 months ago . Anyone have problems with not getting a picture unless you unplug the hdmi cable from the back of the television and plug it back in? BEST ANSWER: Yes, after an update series to the Samsung UltraHD Blu-ray player, I've occasionally had to disconnect power / restart the Blackbird when the signal shifts to protected 4K playback. Not sure if there is a firmware update available to fix this. Having this issue consistently. Every time I turn the TV off and back on I get not picture and have to restart the TV. Irritating to say the least and if there's no fix then this thing is going back. Sometimes you need to turn the TV OFF and then re-start it to sync the connection. Most TVs do not have the "hot-plug" option. Will this work with a PS4 Pro going to a non 2.2 HDCP TV to view Netflix and play games in 4K? BEST ANSWER: I don't have a PlayStation 4 Pro, but I have an Xbox One S and an older 4K TV that does no support HDCP 2.2. Before getting this box all that would display in 4K was the Xbox Dashboard. No Netflix, YouTube or anything in 4K. After getting this box I now can see and watch everything that is available in 4K. I would highly highly recommend buying. It should work as long as your TV supports 1.4 HDCP, which is a low bar for any TV that can display 4K. My ps4 pro did not recognize the converter as HDCP 2.2. I will update if I can find any user error. I'Ve connected my PS4 pro to my tcl 40inch 4K TV via this converter and am getting no signal. Both the power and signal indicators are on and I'm using hdmi cables capable of carrying 4K signals. Does anyone know what the problem could be? BEST ANSWER: The first thing you should investigate is if you have HDMI 1.4 or 2.0 with your TV inputs. Reason being is that the PS4 will only transmit 4K signals at 60hz. (Please someone correct me if I'm wrong.) HDMI 1.4 will only accept 4k at 30hz and HDMI 2.0 will recieve 4k at 60hz. So if your TV is not to spec, this converter is useless and will not recive the signal. Some televisions have HDMI 2.0 with a 1.4 HDCP spec. Thats the only time that this converter box is useful. Hope that helps. Your TV must support 60hz at 4k for it to work with a PS4. This type of adaptor is used to watch 4k streaming apps like Netflix or Hulu with hdcp 2.2 protection. Unplug and plug back the output hdmi from the converter.. Thats what i had to do for my ps4 pro..
Has this 2.2 to 1.4 conventer been updated to work with Directv 4k mini yet. And how is the picture ? Does it work with new oppo uhd player. BEST ANSWER: Directv HDCP 2.2 needs a TV that is also HDCP 2.2 compliant. This converter box cannot do it so the 4k picture protocol will not be presented correctly with this box connected in-line. Directv 4k client will give you a great picture when I connect to 4k TV which has HDCP 2.2 also (my case Samsung 7200 series with Media upgrade). I have also Samsung KA8500 4k BD player this has to be connected directly to the TV. 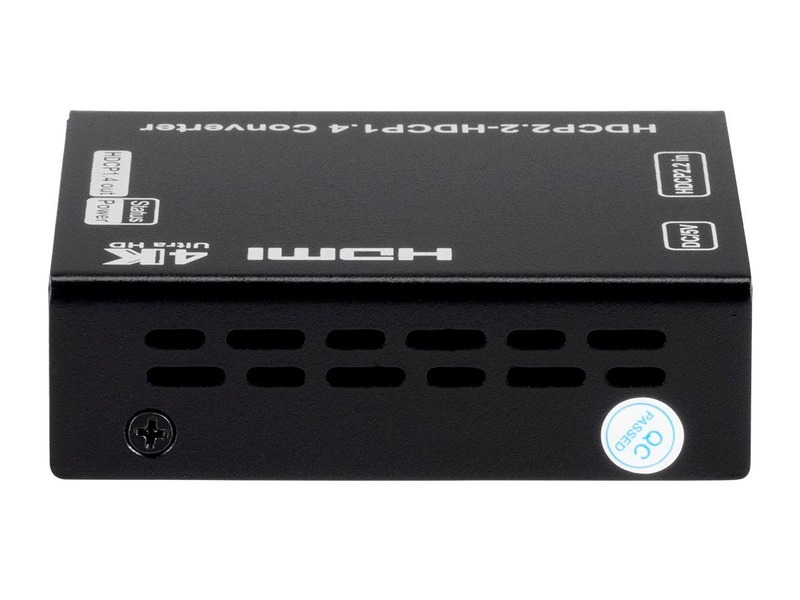 If you connect to a Receiver, the HDMI input port of the receiver has to be HDCP 2.2 compliant also. I do try Oppo player since I did not buy one. I hope my answer helps. I can't speak to DirectTV or Oppo, but I've been using it on a Roku4 and things look great. I haven't really A/B tested it against plugging straight in, but it definitely suits my needs when it comes to getting the Roku to play nice with my receiver. Hello, I plan on purchasing a PS4 Pro and an Acer Predator XB1 4K monitor. The PS4 requires a connection to HDMI 2.0 to be able to play 4K, but the monitor only accepts HDMI 1.4. Will this allow My PS4 to play in 4K on the monitor. Essentially I need it to trick the PS4 to think its connected to 2.0? BEST ANSWER: I used to think the same way like you. With HDCP the monitor has to go because with it come to the HDCP protocol, the last equipment that receives the HDCP signals has to be 2.2 compliant. There is no way to trick it in my attempt watch DTV 4k format. 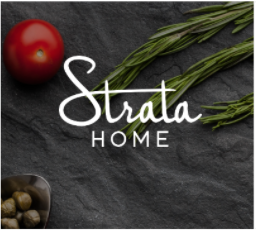 You are welcomed to try. So my thoughts on this is that the PS4 uses 2.0 not the new 2.2 standard so yea but Ill try when I get everything if I lose $35 I wont complain. My issue is I get mixed answers because some people get stuff like this to work and some cant. So I hope that it should be able to trick it. Along with that the game system doesn't have the same restriction that a DTV may have because we can connect capture cards to record game content as well so again we shall see. HDCP 2.2 is newest way to protect media from piracy including transmitted ones. HDCP 2.2 from games on PC and consoles used to be less restrictive in protection; but now even game sequence is protected against piracy or real-time digital recording. So this gadget is not a good solution for you in my opinion. I had a similar issue, I had an older Denon receiver that only did 4K 1.4 and would not pass 4K from the Directv genie. I used the converter and the receiver would then pass the 4K fine. 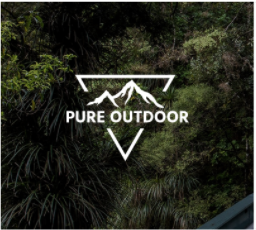 Hook it up in-line to the back of your PS4. Everything should work then. 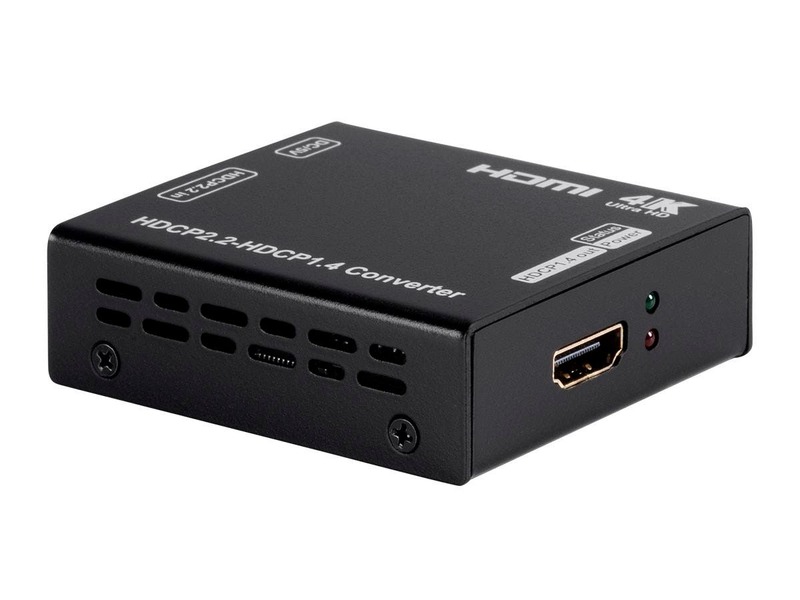 Will this convert an hdmi 2.0 output (from my graphics card) to the hdmi 1.4 input (on my external display)? BEST ANSWER: HDMI outputs are backwards compatible--you shouldn't need anything for them to work. However, if you aren't getting the results you want from your current setup, it could be because your display is only compatible with up to HDCP 1.4, so this would then benefit you by getting your HDCP 2.2 signal from your graphics card to accept your display. With Full HD monitor, this should work fine, but anything higher, like 4K, Hdmi 1.4 is limited to 4k @30hz, which is not nice for games. How can I use in playstation 4 pro, is normal that only the red light is on? BEST ANSWER: I went from a Roku Plus to a 4K monitor. It worked well except for issues with the Roku having to be reset occasionally. 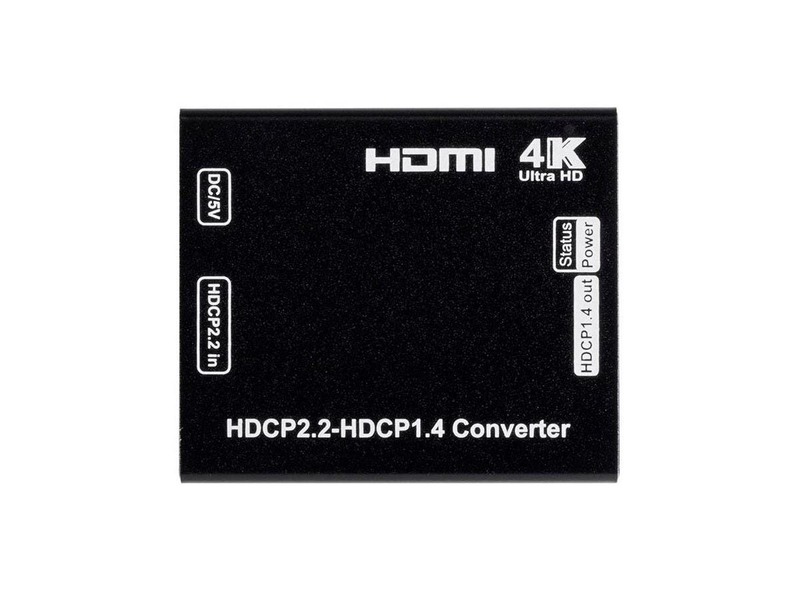 You only need this if you are going from a device that requires hdcmp 2.2 to a display that doesnt provide it. (like a PC Monitor). Pretty sure the green light was on for me which indicated that the hdcmp 2.2 was being feed back to the source. Only a red light means power but no signal passing. Either it is not communicating with the Playstation pro or the 4K tv. A full connection must through must happen to have a green light. A handshake with source and destination must occur to get a green light. It could be cables or any of the devices. I bougth one and just turn on the red light and do not convert the image to 4k, my screen is a Samsung UN55F9000, could you help me? Sounds like it is connected backwards. Your TV should go to the 1.4 port, the source should connect to the 2.2 port. My tv is on 1.4, I can watch the Image but your converter does not work. Im using a play station pro with HDR off. Could you help me? Can I use this to downscale a 2560x1440@60Hz signal to a 1920x1080@60hz signal? BEST ANSWER: Based on my understanding, the Blackbird is designed to *preserve* 4k, not to downscale it. It will certainly work with a downscaling device, but it won't do the downscaling itself. The point of the Blackbird is to fix compatibility problems. My cousin brought over his Nintendo Switch which uses the latest HDCP which isn't compatible with my old DLP TV. The Switch would not work plugged directly into my TV. Connecting it through my Blackbird fixed the problem, and we had a lot of fun while he was in town. Can I use this device with the original xbox one to display 4k? If the Xbox outputs 4K, then yes. It does not upgrade the video signal, but address the differences in the 4K protocols. I had a lot issues but the box addressed them all. Can I use the to split ps4 pro so that 1 hdmi connects to a HDR 4K (hdcp 2.2) tv and the other to a non hdcp 2.2 receiver for hd audio? BEST ANSWER: Hello, thank you for your question. This unit is not capable of splitting an HDMI signal to two destinations. It also will not bypass the requirement for HDCP and will only convert HDCP 2.2 to 1.4 for use with HDCP 1.4 compliant devices. I have a Yamaha RX-A1030 receiver, a Samsung JU7100 4k Smart TV and the new ROKU Premiere+ (with 2.2 HDCP). When I connect the ROKU directly to the TV's HDMI input, I get excellent 4k video but only get PCM sound via the HDMI ARC connection to my Yamaha RX-A1030. When I connect the ROKU directly to my Yamaha RX-A1030 then out to my 4k TV (using the HDMI ARC), I get 5.1 audio but can't get 4k video on my TV. I know I have a compatibility issue. Will this device solve my problem? BEST ANSWER: Thank you for your question. Looking into your receiver, it is likely that you are running into a compatibility issue when it comes to 4K content due to the Roku requiring HDCP 2.2 for its 4K content. Using the 2.2 to 1.4 converter would allow you to view the 4K content from the Roku. does this converter support 18gbps? or 10.2gbps like the others? I bought this and from time to time my TV will go black and the input will flicker and reset. Like the HDCP handshake is failing. Sometimes just video will go out for a moment but audio will stick. Has anyone else experienced this issue? My Roku 4 gives me an error that my TV (which is a Sony projector and not 4K) is not HDCP 2.2 and the content cannot be displayed. The Roku refreshes something after about 15 seconds and then I can see my Roku home screen. My Denon receiver is HDCP 2.2 but my projector is not. 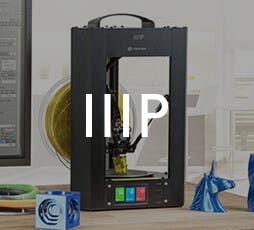 Will this eliminate that error I see during first start up? BEST ANSWER: Thank you for your question. 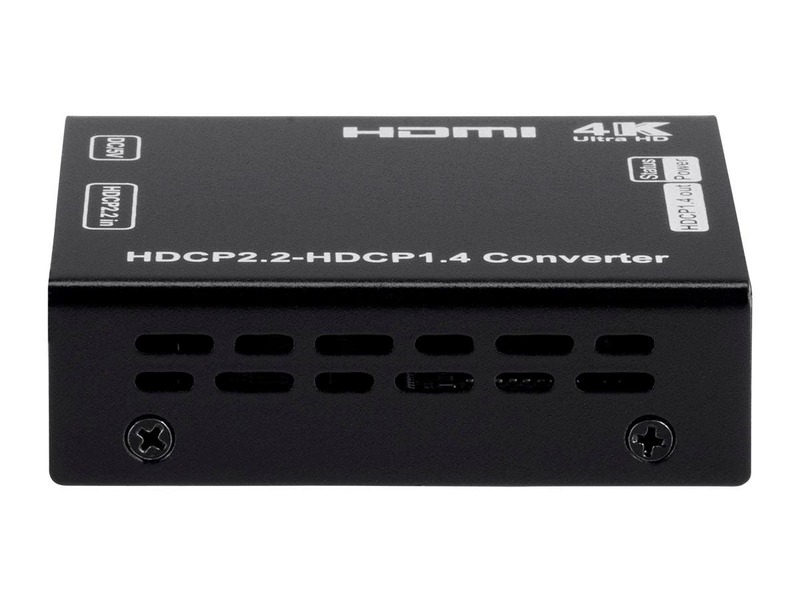 The HDCP converter is designed to convert the HDCP 2.2 signal to a HDCP 1.4 signal. However, it does not convert resolution. If the Roku 4 requires a display must support a 4K resolution with HDCP 2.2 signal, the device may not work for your intended purpose. I hope this helps. I purchased a Samsung BD-J6300 BD player. I have an old 20+" Sharp CRT (it has 1 set of component jacks, 2 composite and 1 set of separate jacks for hooking up stereo through AUX). I want to be able to get the last bit of life out of it. I've researched ways to do this but there really isn't a way. The only thing I've heard of is that it won't work because of the HDCP encryption. I just cut cable and I want to be able to use the apps on the player and also watch a few BDs (despite resolution). What type of equipment do I need to break the HDCP encryption to do what I want until I eventually purchase a new TV. Is my tv too old to do this since it was manufactured in 2003? I am attempting to use to get 4k on my 1.4 vizio 4k tv with my ps4 pro. But the PS4 is still not recognizing it at 2.2 and therefore not streaming 4k. I had a theory that is is because i am using old hdmi cables instead of 4k hdmi cables. Will that make a difference? BEST ANSWER: It would, everything in your run would have to support 4k resolution for you to get that resolution at your TV. Does this device support audio return channel ? BEST ANSWER: Thank you for your question. This converter will not support an audio return channel. Can't seem to make it work with chromecast ultra. Any suggestions? I have my GPU (Nvidia 10 series HDCP 2.2 compatible) plugged into the blackbird via hdmi, then the blackbird 1.4 out plugged into the hdmi 2.0 of my computer monitor (Acer H277hk). When I do so I get no signal at all on the monitor, and only the power light is on the blackbird, nothing happens with status light. I tried plugging the output into a regular 1080p TV as well, and again no signal. Would I get a signal either way if box is working (even if display isn't 4k), or does this mean box isn't working at all? BEST ANSWER: You did not tell me if you get the green light on the blackbird. What I found is, the HDMI cable matters a LOT!!!! My blackbird definitely works but I had to upgrade all cables to HDMI 2.0b for full backwards compatibility and my problems went away. I did not have the NO signal but HDCP errors on my SUHD Samsung tv. No status light at all. Just the power light. Both HDMI cables used are newest ones from Amazon with 4k UHD support. They both carry a 4k 60fps signal fine directly from gpu to monitor, just won't carry a signal through the blackbird. BEST ANSWER: Thank you for your question. This device will make your processor think that it is feeding a 2.2 signal to a 2.2 supported display but then will convert that 2.2 signal to a 1.4 signal so that your display will be able to read it. It would work just fine with your setup. Will this box support HDR10 ? What about 4:4:4 Chroma ? BEST ANSWER: It will not, as a Display that was built with the HDMI 1.4 format wouldn't be capable of supporting such features to begin with. Will this accept a 1080p input at 60hz? If so, what refresh rate would the output be at? BEST ANSWER: Thank you for your question. Yes, this will support a 1080p @ 60Hz input and it will support a 60Hz 1080p output. Do I put a blackbird on each input of a receiver, or just the receiver output before the Projector? BEST ANSWER: It will depend on where you have the 1.4 device. If the projector is 1.4 then before the projector, if the AVR is 1.4 then the AVR. I have an older plasma TV with HDMI 1.3. My problem is that if I plug an HDMI 2.2 from my any device, I can see the video perfectly, but my TV can't read the digital audio on the speaker. Do you think that if I use this box that the conversion will do the job? BEST ANSWER: If you can see the video perfectly, I think the Blackbird will make no difference. If the problem were that your HDCP 2.2 video source was rejecting the TV, then your picture would be degraded or withheld completely, and then the Blackbird would help. The problem you describe sounds like an audio misconfiguration or decoding incompatibility. The Blackbird converts the HDCP protocol which is separate from routing & decoding audio. It sounds like you need to change settings on your source &/or TV to be sure your audio is sent & received via HDMI or maybe it needs to be set to LPCM instead of DTS or Dolby. I have an rca 65"4k (rtu6549) that isn't hdcp 2.2 but it also doesn't say that it's 1.4 either. Will this work? Works great. New UHD Bluray and new AV receiver would not talk properly with slightly older plasma tv….works great now. I needed ,this converter,to run NETFLIX in 4K mode.The tv it is connected to is a 2013 model with a HDMI 1.4 UHD 30hz input.The source is a AMD computer with a NVIDIA GTX 1060 GPU..I was surprised by how well it does the job.I'M now getting full pixel 4K screen without signal degradation. I HAVE A 4K receiver but it came out just before the HDCP 2.2 specifications were finalized. So, my 4K content by Direct TV would not work. I would run my Direct TV box into the receiver and then past the signal through to my 4K TV. No 4K content would show on the TV because it was HDCP 2.2 and my receiver would not pass that signal through to the TV. This little box ( wired in between the Direct TV box and my receiver solved the problem. Just what I needed. 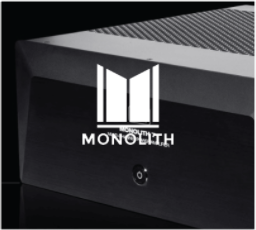 Great job Monoprice! I have an old Yamaha Z11 receiver that is the audio workhorse of my system. It has a ton of inputs and outputs some of which are not available in type and number on any of todays receivers. But of course it is not 4k/2.2 HDMI capable or compatible.. I just purchased a new Sony UBP-X800 4k player to send 4k video to a new display. 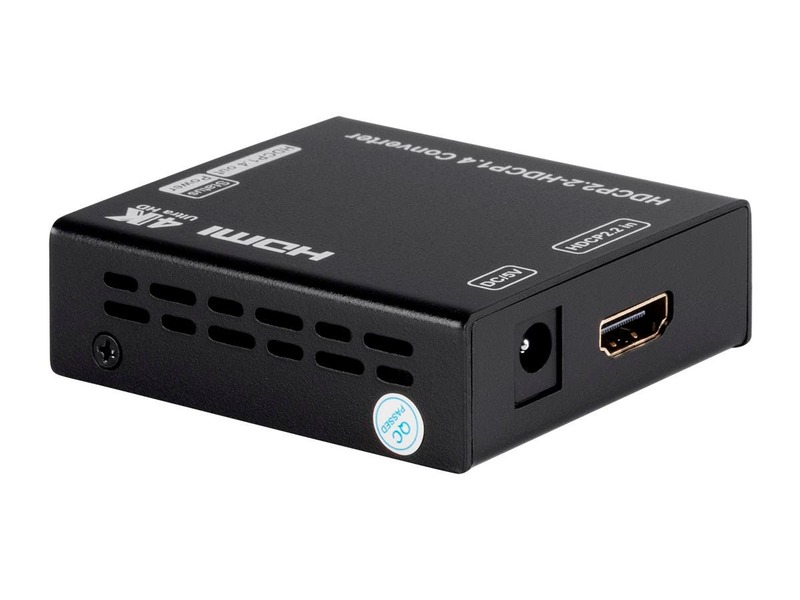 Since the UBP-800 has two HDMI outputs there was no need to route the video and audio signals through the Z11. When I plugged UBP-X800's 2nd HDMI audio output into the Z11's HDMI input, NO SIGNAL! My friend had a similar problem with his older receive and his new 4k player. The Blackbird 4K Pro HDCP Converter completely solved this issue. The Blackbird converted the 2.2 output audio signal to HDMI 1.4 and sends a decoded signal to the receiver. The audio output format is DTS-HD Master Audio™, Dolby TrueHD™, or LPCM audio depending on the input signal. Brilliant! No need to replace the old receiver. YET! This was connected to improve the comcast box to the 4K tv. It has improved the picture quality. The box allows the error message to blink back onto the screen , just for a second every now and then. It acts as if it wants to give up working sometimes. If I didn't notice the flicker, I'd give it 5 stars. Lovely little device this. If you have an older HDFury 4K Linker, etc, it enables uninterrupted replication, for legal personal use, of course. It took two minutes to install, two minutes to bring up the DVD player, and then, the BladeRunner 4K HDCP 2.2 DVD actually played at 4K instead of 1080p. Wonderful. A great work-a-round for my two-year-old system that has a Surround Sound amp that is only HDCP 1.4 compatible. Seems that the NEW HDCP 2.2 copy protection on many of the newest 4K DVDs will not play correctly if there is even one 1.4 compatible weak-link in the chain. In other words, it will only play at 1080p and not at 2160 4K Resolution. I just hooked the converter's HDMI Input up to the HDMI Output on my 4K DVD player and then its Output to the HDMI "In" connector on my amp. Voila'. This adapter makes absolutely no changes to the quality of the picture. It only "fools" the Player/DVD into seeing an HDCP 2.2 20ms return signal. Ingenious! A HACK in a BOX. What's next? HDCP 3.0 ??? Works as advertised, i.e., allowing my "legacy" 4K Sony XBR TV to stream 4K material. So far, I've only seen 4K material posted by YouTube users. Much of it pretty impressive. The only negative about the Blackbird is the red pilot light. It's almost bright enough to light the whole room. Took a little creativity to hide this thing so there wouldn't be a red glow under the TV as we watched. This devices sits between the output of a new Roku with 4k and HDCP2.2, and an input on my Pioneer VSX-1124. It works nearly completely flawlessly. HDMI still sends commands: the Roku remote turns the Samsung 4K tv on through the receiver, and controls the volume of the receiver through the Blackbird converter - something that surprised me as it works completely flawlessly. The only issue I have found is that occasionally the Roku will lose signal with the receiver for roughly 2 seconds every rare once in awhile. It will work fine for hours multiple days in a row but then occasionally happen. It comes right back. It doesn't happen without the Blackbird inbetween. 5 Stars because that is an issue that I can deal with rather than spending thousands on a whole new system.